Drainage Experts Ltd works with one of the largest & most reputable insurance claims management companies in the UK and in the event you the home owner needs to make a claim on your house insurance our insurance claims management team will take care of everything from speaking with your insurance company, organising the repairs & paying the contractors. If you would like us to manage the claim for you, we need your authority to do so. This is part of the FCA regulations our claims management team are authorised under. All you need to do is contact the claims management team and they will do the rest. Once the drain fault is determined our claims management company will deal with your insurance company on your behalf once we have your consent. We have over 25 years experience in the drainage industry,we know the terminology and what the Insurance Companies require. We will get the work carried out at no cost to you, apart from the excess stipulated on your insurance policy. Your insurance company agrees the claim and authorises the work to be carried out. If you have opted for an excess amount on your insurance policy, we ask you to pay this excess to us at this stage, because the insurer will pay us LESS your excess amount. For us to be able to manage your claim Drainage Experts Ltd will require authorization from you to allow us to be able to talk to your insurance company on your behalf and to be able to handle your claim. So we will require you to sign our Letter of Authority which the engineer will have with them its a standard form saying you are happy for us to manage your claim & deal with your insurance company. No that is not true, your insurance policy provides financial compensation for costs incurred by you as a result of an insured peril. If you own your property, then legally you can insist on using a particular approved contractor, but not your insurers. Your insurers can impose a financial limit on repairs if their approved contractor could repair for a lower cost. However we offer a price match policy, so the most you will ever have to pay to use us is your policy excess – Not a penny more and we are Thames Water & NADC Approved contractors unlike most drainage contractors, ask your insurance company first to make sure as the vast majority are not approved and any come backs will likely fall on deaf ears look at our feedback on freeindex FREEINDEX/DRAINAGE EXPERTS LTD and all over the internet we pride ourselves on never having a bad feedback not many drainage or civil engineering companies can say that. Many of the defects found in domestic drains are normally covered by the home owners bricks and mortar insurance policy, Root growing from tree into the drains, damage that results from fractured or Broken, collapsed, deformed or cracked pipes can be due to movement in the ground, or pipes can fracture due to a root growing or heavy vehicle driving over the ground above. That can be classed as accidental damage and should be covered, the first step is to send https://www.drainage-experts.comcamera down the drain to inspect for blockages or a collapse. The CCTV Survey will show how the problem is being caused and if the drain problem is associated with accidental damage we can perform or arrange any repairs and any costs (save excess) through your insurance company. Is that you will pay nothing to https://www.drainage-experts.com because we are confidant that we will get you what you deserve because we have the knowledge and experience you can certainly relax knowing that our Drain department can deal with your insurance claim you just pay for the initial drain camera survey so we can determine the problem and all going well you will be covered under your house insurance for any additional repairs. For us to be able to manage your claim Drainage Experts Ltd will require authorization from you to allow our claims management team to be able to talk to your insurance company on your behalf and to be able to handle your claim. We will require you to download and print out the documents which is a Letter of Authority. Please request the form & remember to sign it and email back to us or if you prefer post them to us. 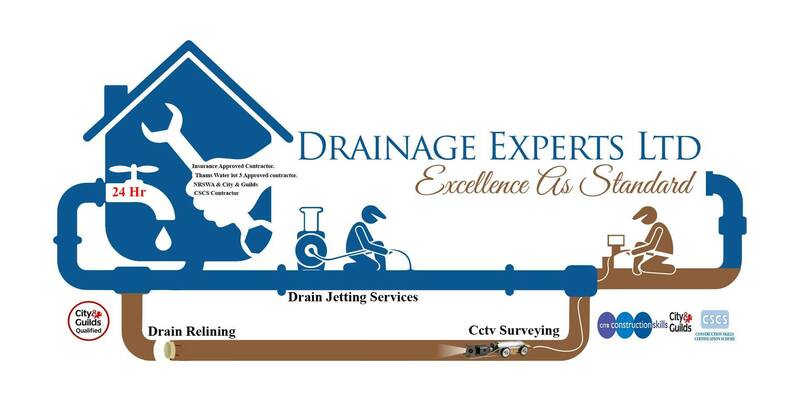 Drainage Experts Ltd will guide you every step of the way from the moment you call us until we sign off on the job and you will only deal with one person throughout. Drainage Experts Ltd claims management team will speak to your insurance company on your behalf when any problems are found. We know the terminology and what the Insurance Companies need from documentation and CCTV Surveys, so you do not have to worry or stress. NB if your insurance won't cover for the cost of the repairs then you the customer is liable for the full cost of repairs.